Started in 1985 ICCS is a highly focused software house, specialising in the design and implementation of quality assurance and control systems for the food, beverage, toiletries and pharmaceutical sectors of the market. In addition to bespoke systems ICCS offer a range of standard off-the-shelf products. Although primarily a software house ICCS is able to provide complete turnkey systems comprising hardware, software and network infrastructure. In addition we pride ourselves in our structured project management, systems development, training and support activities. 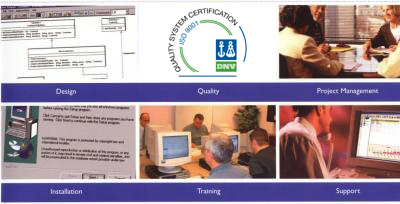 ICCS operate a structured Quality Management System and are accredited to ISO 9001:2008. Within our QMS there is a strong emphasis on management through effective planning and monitoring and the adoption of Good Manufacturing Practice. Our procedures and development methods are in accord with those employed and required by the pharmaceutical industry.